The living Church as it communicates the conviction that "there are different gifts but the same Spirit" (1 Corinthians 12:4), directs the laity to reflect on individual paths to commit and evaluate their collaboration and participation , to render their Christian existence more significant by living the FAITH of baptism. Some, driven by the Holy Spirit, feel attracted to the figure of Mother Elena Bettini and and are called to live while in the world, the same charism of the Congregation of the Daughters of Divine Providence. Thus, they render themselves available to accept the challenge of Christianity that communicates the gospel message of abandonment in Divine Providence and to search for the priority of the Reign of God, (Matthew 6:25-34), with a special characteristic: faithful abandonment to the Father and His Providence. A charism is a free gift of the Spirit, a gift always new, creative, that transcends, challenges the time, and does not require essential elements of religious consecration. The congregation is open to share their charismatic identity with all who travel a different path. 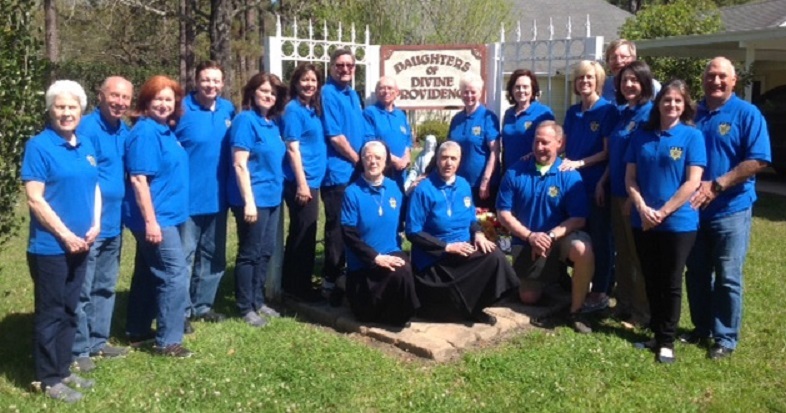 The participation in the life and apostolate with the Daughters of Divine Providence is a gift of faith that invites every lay person who wants to commit and collaborate in our mission that favors the poor and abandoned. To this gift is joined a prophetic sign in the life itself of the Congregation and its future in the welcoming of the laity, thus changing the thinking of today's society that emphasized consumerism over the priority of the person and fraternity.